In memory of those who gave their lives for freedom, 1914 - 1919. This memorial was erected by the directors of the Leather Cloth Company Ltd in memory of those who fell fighting 1914 - 1919. In memory of those service and civilian employees who lost their lives, 1939 - 1945. We hope you agree that it's a reasonable assumption that the people named on the monument worked for the Leather Cloth Company. Comte Robert de Lesseps is the first name on the monument (the others being in alphabetic sequence) so one would expect to find he was the owner, director or chairman - he certainly was not operating a machine, or hauling supplies. Kitwintt is ahead of us on this but their investigation has failed to find any connection between de Lesseps and the Leather Company. And the listing entry says that his "connection with the company is unclear." 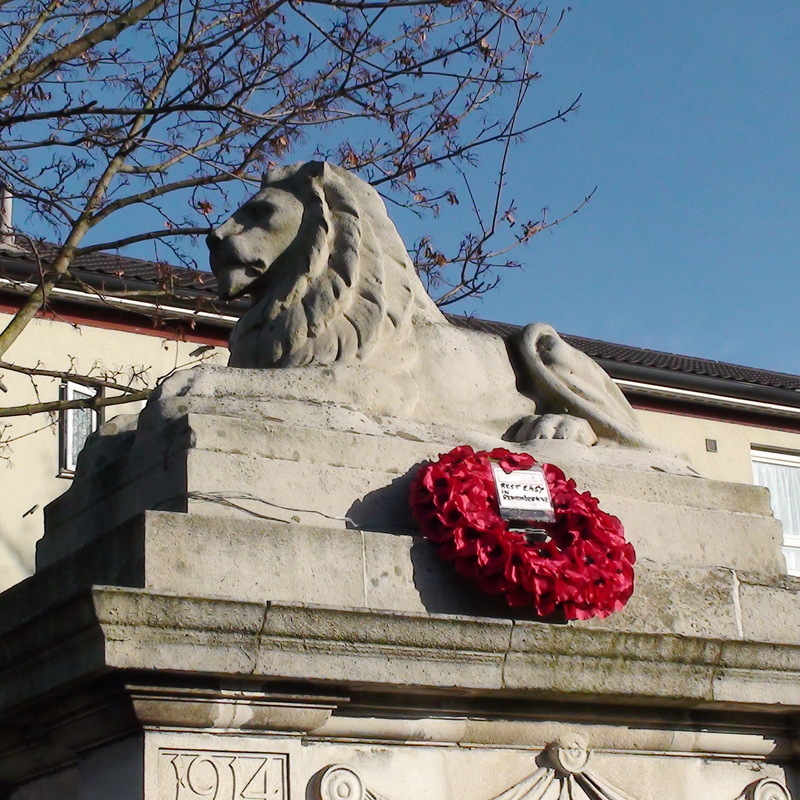 We asked our French consultant, John Hartley, to search the Gallic corner of the web but there also the only link between de Lesseps and Crocketts is this memorial. Bit of a mystery. 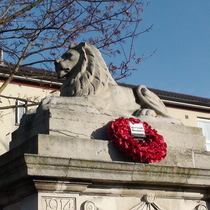 From Abbey Gardens we learn that the residential area to the north-east of this memorial is the Leather Gardens Estate. In 1725, a parish workhouse was built here. This was converted in 1850 to a Gutta Percha (Rubber) Works. 1947 aerial photo of the site. Then this was taken over by the Crocketts Leather Cloth Factory, which closed in the early 1960s. The area was then developed for housing. This memorial originally stood within the factory premises, c100m to the north of its present position, on a triangle of lawn enclosed by railings. Here it was raised on two steps and a pavement, and included round stone balls at each corner of the pavement. When the factory was demolished the monument was moved here, what had been the southernmost part of the premises.